Steam carpet cleaning can provide you and your family a healthier home to live in! Cleaning with steam is a fantastic, natural cleaning process we need to use more in our homes. The steam generated by our state-of-the-art steam wet vacuum cleaning equipment, which sits outside in our van whilst we clean, works in many different ways and we would like to explain how it is an invaluable tool in our arsenal for deep, hygienic and sanitising cleaning in your home or work place, for carpets, upholstery, rugs, curtains and mattresses. 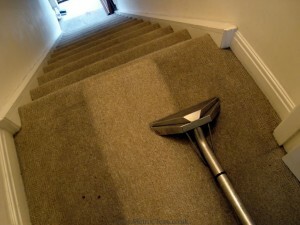 The main reason that steam is so effective is because on initial contact the heat acts to separate the dirt and grime from the fibres of the carpet by weakening the physical bond. Off the shelf cleaning products that are available to buy will create the illusion of ‘clean’ with strong chemical odours that only have a marginal effect on the grime that embeds itself into the fibres of upholstery, and they also use optical brighteners to lighten the carpet. Whereas with steam cleaning, the heat transfer from the steam to the surface means you get a deep clean to the base of every fibre. When water turns to steam it fights bacterias and kills germs and bugs that survive on carpet and upholstery fibres. Steam can be a natural sanitiser and neutraliser of bacteria in your home, without the need for harsh chemicals. You may feel the chemicals you use in cleaning products will help, but the residue left behind in these can be harmful to your skin and also the air you breathe. The simplicity of the power of steam cleaning makes much more sense than filling cupboards with expensive, gimmicky cleaning products. The hot water vapor used in steam cleaning, ismore effective on grease than cleaning at lower temperatures water so we can help with removing oily food stains from carpets and upholstery. For those of us with allergies or asthma, who are affected severely by bed bugs, dust mites, fleas and larvae, are killed when steam is used to clean. 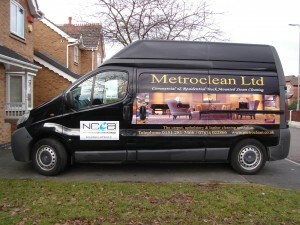 Metroclean have been in the business of cleaning carpets, upholstery and vehicles for over 10 years, and we believe in happy customers every time, attention to detail and a passion for delivering the best service. Carpet and upholstery cleaning is a skilled service and should only be performed by trained professionals, we highly recommend against do-it-yourself machines which can be hired, and often leave carpets soaking and full of sticky soapy residues that cause carpets to rapidly re-soil. If you want a professional steam cleaning of your carpets in Liverpool or Merseyside, give us a call today for a quote and more information.